For a change as large in scope as it turned out to be, Google’s roll-out of its latest algorithm went by very quietly. Although the announcement was made a day before Google’s 15th anniversary, the actual release happened at least a month before. 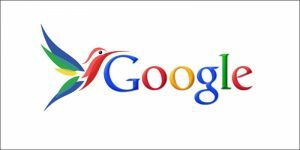 Nicknamed Hummingbird, the latest update of Google Search is designed to handle more complex queries and affects about 90% of searches worldwide. Amit Singhal, Google’s senior VP, called it the culmination of 15 years of work, citing it as the result of “some fundamental rethinking of how [Google] is going to keep [its] results relevant”. Google Search will now be more adept at understanding concepts, relationships between concepts, and more complex questions. In a nutshell, instead of deconstructing searches word-by-word, Hummingbird allows Google Search to identify and rank answers to complex queries through the content indexed. Hummingbird is the biggest change to Google Search since the creation of Caffeine in 2010, and has certainly outstripped Panda and Penguin in that respect. What is 4G LTE and What’s the Difference?